NorCal member David Corbett has a long piece in Writer’s Digest on how writers of color are overlooked…here. Yes, this is the time of year when you’re filling your closet with gifts for other people–but in case you want to drop a hint about what Santa could bring you, here’s an image for your Facebook page. 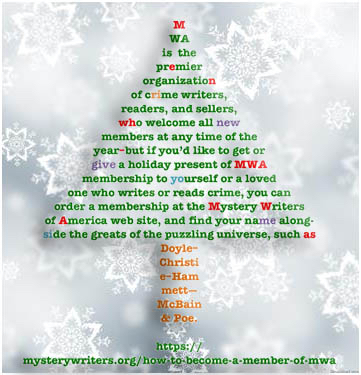 Because someone you know may be wondering what to get the writer in their life.